Colton Hadley has everything—except what he truly wants. Beset by overbearing parents and surrounded by sycophantic socialites hoping to sink their claws into his wallet, he longs for someone who wants him for who he is, not what he has. Enter Charlie. She’s smart, beautiful, brave—and homeless. She’s all wrong for him, but Charlie crawls into Colts heart like no woman ever before. Having run from home to escape an abusive ex, Charlotte Ward just wants a new life…a quiet life…a safe life. She’s off to a bad start when she’s robbed of everything she owns, forcing her to sleep on the porch of an abandoned beach house. Enter the gorgeous next-door neighbor. Charlie doesn’t want to trust him, but Colt is kind, patient, persistent. Before long, she lets down her guard…and opens her heart. With his parents interfering and her past catching up fast, will Colt and Charlie find their different worlds are too far apart? Or is their love strong enough to prove home is where their hearts reside? This is the first book is this series and the first book I've read by this author. Charlotte (Charlie) is on the run from her abusive bf and ends up in California on the back patio of a beach house that's empty but next door to Colton (Colt). Colton is a manwhore at the start of the book and from a well off family unlike Charlie who has nothing. When he meets Charlie he wants to help her and eventually after some persuading from him a friendship forms. It was only a 3.5 * read for me because although it was sweet and enjoyable read, at times I wanted to pull my hair out at Colton and I found it really hard to connect with him at one point in this book I felt he didn't even deserve Charlie which is why it was that rating for me. 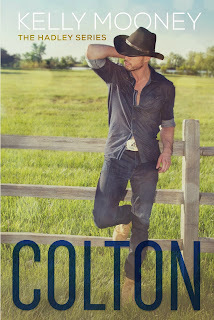 Without giving to much of the plot away I did enjoy the overall story and writing style but it just needed that little bit more work for me especially when they hit that rough patch, and I needed to feel more of a connection to Colton but that's just my own personal feelings. Its hard to say exactly what I didn't like without giving a major plot part away but like i say it was a ok read for me. I will be reading the next books in this series and am looking forward to see what happens with their stories.